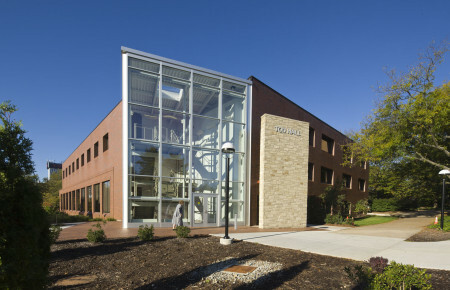 The College of Wooster - Andrews Gault APEX Library | BSHM Architects, Inc.
BSHM was hired by the College of Wooster in May 2014 for the first renovation project at Andrew’s Gault Library. 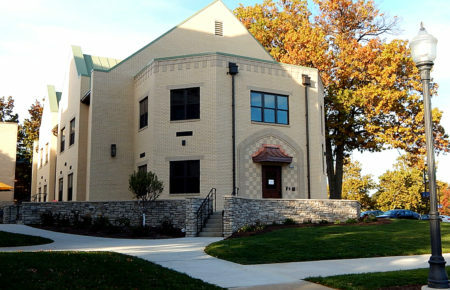 Phase I of the College of Wooster library renovations was a complete transformation of 1,280 SF into a digital library. Administrative programs were relocated, small spaces were enlarged by the removal of walls, borrowed light strategies in concert with careful lighting considerations allowed abundant daylighting. 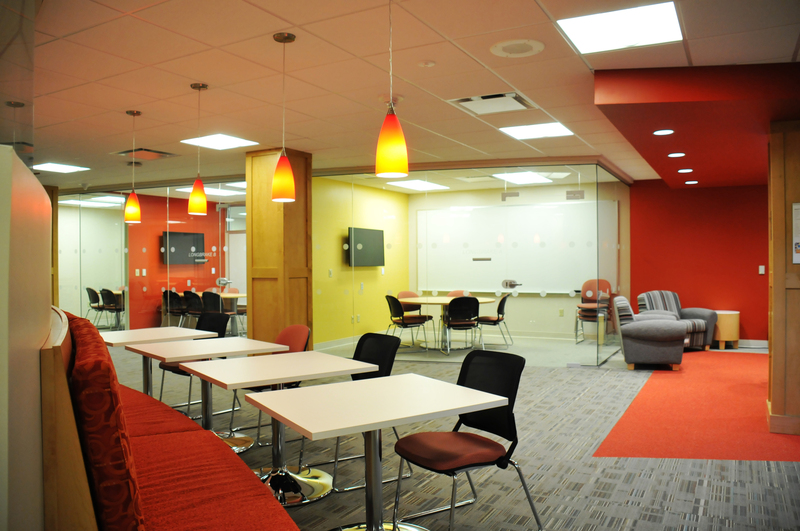 Electrical, Mechanical and Technology upgrades were tailored to the predominately keyboard and screen environment for student access of resources. 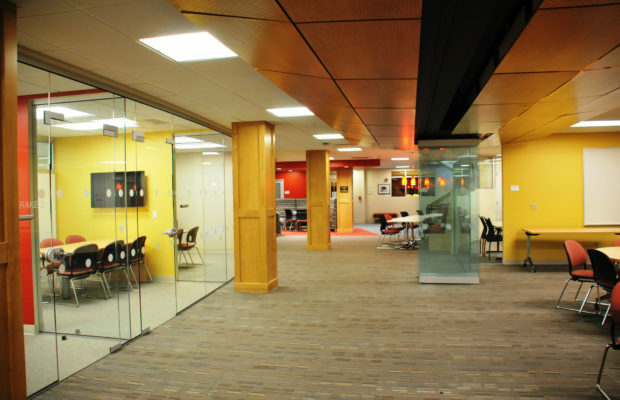 BSHM was again hired for Phase II in October of 2014 which was the conversion of a mail room into three offices, along with a storage room into the new mail room, and consisted of approximately 5,575 SF of total renovated space. 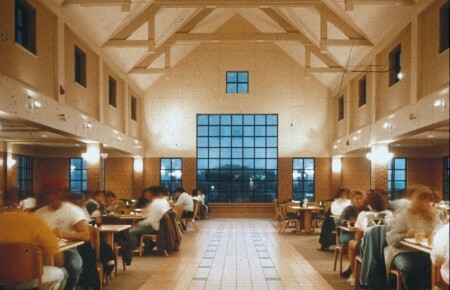 The circulation pattern of the center of the building was altered by providing a new opening from the renovated offices through the original library exterior wall and into the APEX portion of the building. 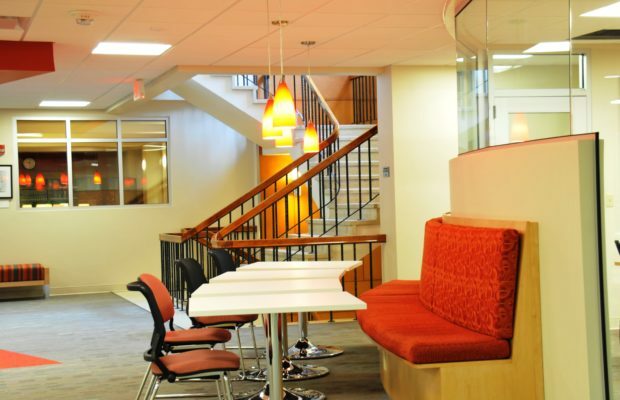 Each new office borrowed light via transom windows and new technology and lighting upgrades were included in the renovation. 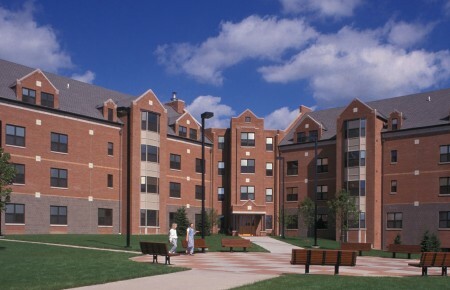 The shipping and receiving functions of the mail room were streamlined through the relocation of the mail room closer to the loading area, allowing direct access to exterior doors through a vestibule, and eliminating the traffic through an office area that the old layout included. BSHM was again hired in 2016 for Phase III which is comprised of the conversion of approximately 9,200 SF of library stack space into a modern collaboration space for students and faculty. 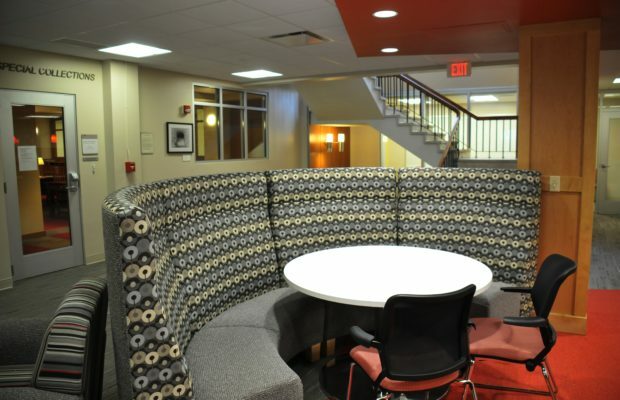 The stack space is converted to an arrangement of multi-purpose rooms, offices, and a flexible open-seating gathering space that includes a moveable partition to allow the space to adjust to accommodate larger groups. 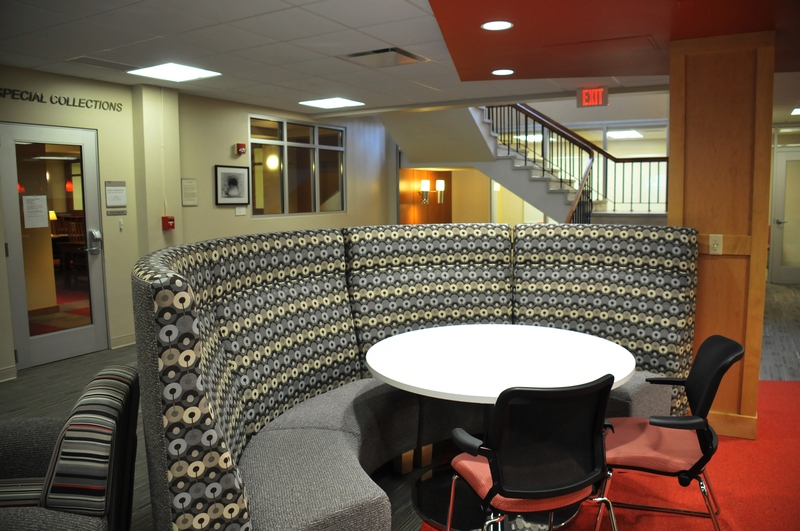 Small group rooms are arranged along the main circulation path, allowing for breakout spaces at the perimeter of the group space. 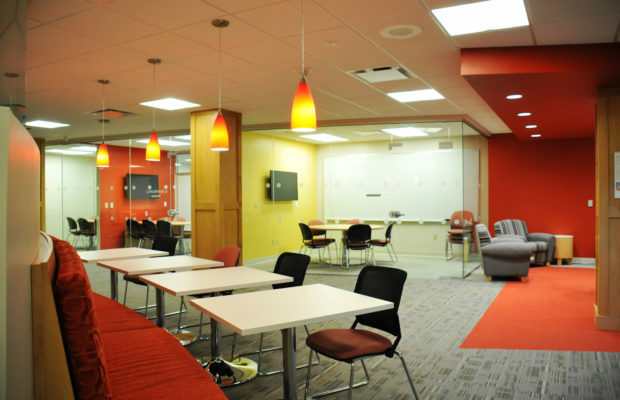 A careful consideration of materials and finishes, along with upgraded lighting and technology, will provide a fresh, 21st century sensitivity to the original mid-1960s library space.